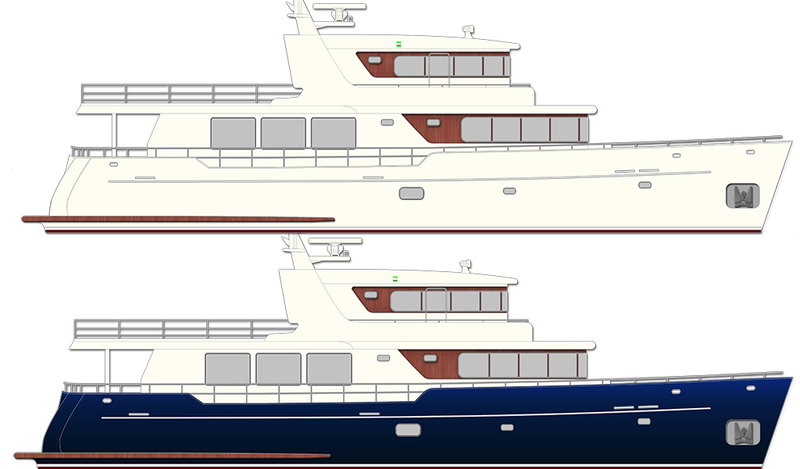 The 26.5m project is designed with the aim of creating a trawler blends classical style and modern design and technology. 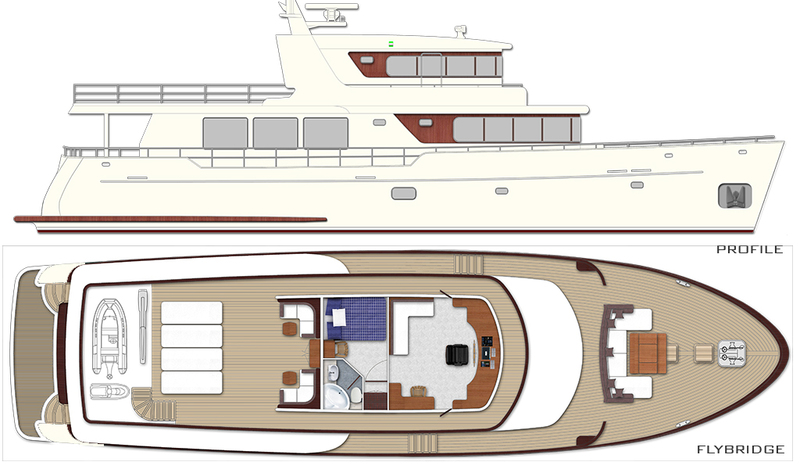 Her graceful hull give her a classic appeal in contrast to the sleek and sharp lines of superstructure and stepped sheer. 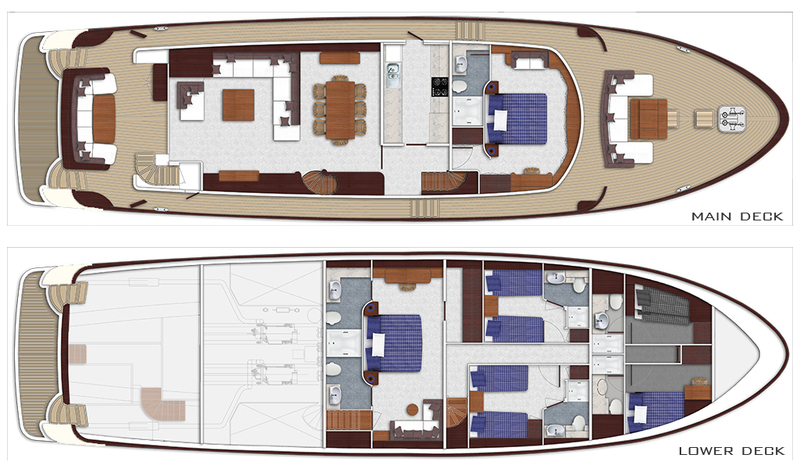 She offers spacious exterior and interior spaces for relaxation and dining. She can accommodate 8 guests in 2 master and 2 guest suites.